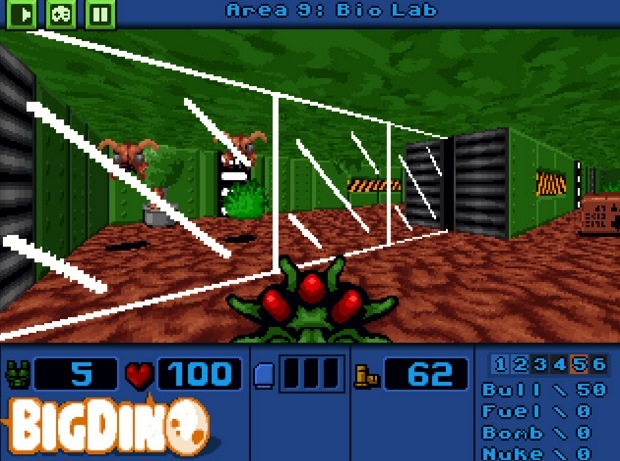 Indie Retro News: LAB - Free FPS inspired by retro classics! LAB - Free FPS inspired by retro classics! 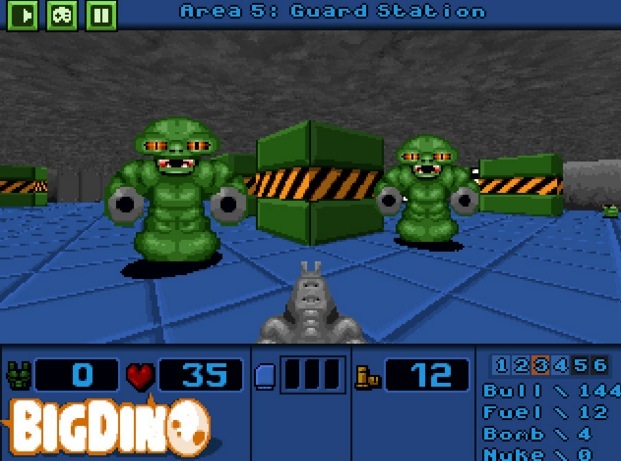 To be honest I'm not a fan of modern day first person shooters, such as Battlefield 4 or Call of Duty, but I really enjoyed those retro types such as Wolfenstein, Blake Stone and the classic Doom. So it came as a surprise to us to learn of a new free first person shooter, that is inspired by those classics but has you escaping a LAB, fighting your way through a pack of mutants who react aggressively to anything that moves or doesn't. This is ' LAB ', developed by mutantleg, which is available to play online in your browser! This game pretty much has everything you could want of a retro inspired first person shooter, from the graphical overtones, to the way you move and shoot. The only thing letting it down, is the sound, which could really do with a bit more kick. Other than that, it's a fun game and yes it's free!